To the various learning theories, their common denominators, and how they were instrumental to where we are today. Taking the time to understand the roles these theories play in the Maker Movement “make” it easier to understand and implement. 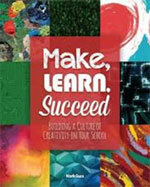 Book continues with practical ideas and examples of practice. 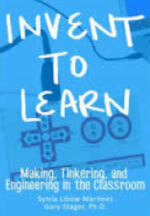 Easy read that introduces and gets the reader excited about maker spaces. This book has more of a High Tech foucs and better suited for upper grades. 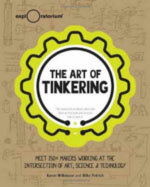 This book has examples from over 100 artists sharing their discovery of blending art, science and technology. 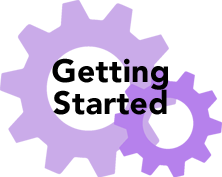 Ever artist has their own story and plenty of visuals for examples. Very motivating book with lots of ideas a teacher can take back to the classroom.